When AC/DC conversion is required to have low distortion and/or bi-directional power flow, we have it covered with Vacon Active Front End technology. Diode and SCR Rectifiers are known sources of lagging power factor. 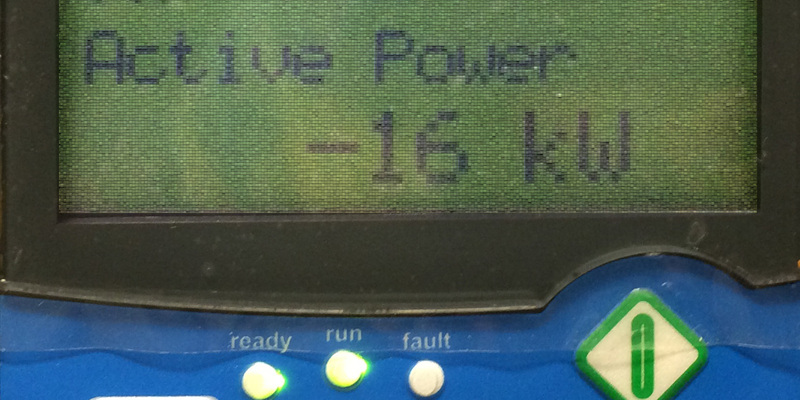 With AFE, your AC/DC converter can operate at a controllable power factor to act as a reactive power booster ! If your AC system is dragged down by a low power factor, our AFE solutions can work double duty: consume clean current, but also consume it at a leading power factor! Active Front End technology, while extremely beneficial, is not necessarily plug-and-play for every combination of application and electrical power system. Proper engineering assessments should be completed in order to ensure smooth performance with no resonance to the connected power system. 741’s AFE solutions include such assessments, rendering qualified power system studies and reliable, clean, bi-directional power conversion.